I can list the ingredients in this salad but Wildflour Bakery in Lake Bluff makes the magic with the white sauce that they squirt all over the top just before you dig in. I have a loose ingredient list that follows but is not quite Ann’s so if you want the real thing,Wildflour is at 14 East Scranton in Lake Bluff. 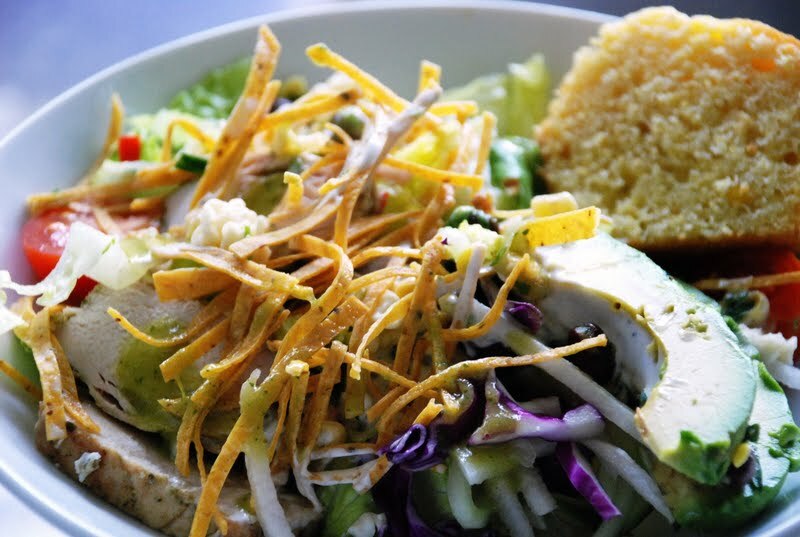 This is the best version of a Southwest Salad that I’ve ever had anywhere…and to think it’s right in my own back yard! In a blender, place all ingredients and process until smooth. Allow to stand for a few minutes for flavors to meld.